Our two lighting experts, the Light Guys, are dealing with challenges many installers are facing at their daily business. Get ready for helpful, dedicated, expert advice from the Light Guys and join them on their missions. The Light Guys - two very different people, but a great team. Discover the many products that are specially designed for the electrical wholesale trade and that have a guarantee of up to five years by visiting our eCatalog - it is simple and straightforward. The Light Guys don't always have it easy. Fortunately, LEDVANCE LED luminaires make their jobs much easier to do. With efficient, proven-quality LED products, the standard is being redefined. This is just what professional light installers and retailers are looking for. The LED luminaires made by LEDVANCE win over customers with their simple installation process and their exceptional value for money. You will profit from the wide array of benefits offered by our new LED portfolio, from the planning of an innovative light concept to installation. Other strengths of the LED ceiling luminaires, the ready-to-install downlight made by LEDVANCE and the similar LED spots, include a rated lifespan of up to 30,000 hours and energy savings of up to 90 percent. Both you and your customers will profit from measurably lower electricity bills and maintenance costs. As a consulting installer or retailer, you help your customers optimize their light concepts with LEDVANCE LED luminaires and thus to find an ideal solution. The result: Totally satisfied customers. 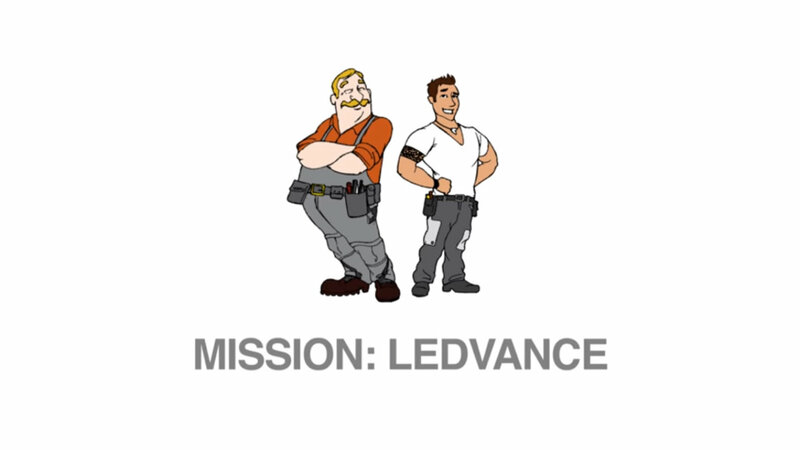 During their Building KnowLEDge mission, the Light Guys discover how easy it is to offer professional support to customers with LEDVANCE. Are you a lighting expert, too? You will find all sorts of clever online tools that you can use to fuel sales at https://www.ledvance.com/tools. Learn about them now and put them to use in your conversations with customers! 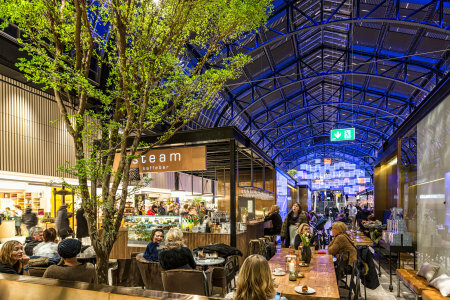 Gain your customers' trust by providing professional support as early as the planning of an individual LED lighting system. The online tools developed especially with installers and retailers in mind will provide you with all key information about our LEDVANCE LED lamps and luminaires. They will also facilitate professional recommendations based on credible technical data and measurements. Pass the benefits of the innovative LED products directly to your customers. The strengths of LEDVANCE LED lighting speak for themselves: Up to 90 percent energy savings, longer maintenance intervals and the 1:1 replacement of conventional light technology.